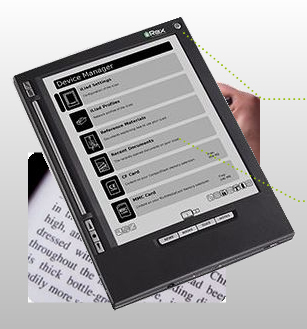 Borders have recently launched their own e-reader which they have named the iLiad, competing with the Sony reader in the UK and also the Amazon reader in the USA. Until now the only e-reader in the uk market was the Sony Reader (in partnership with Waterstones), despite the Amazon Kindle being available in the USA for well over a year. At this point there isn't even a confirmed release date for the Kindle in the UK. Electronic Books, or e-books are predicted by many to change the way we read forever and some doom sayers predict they will hasten the death of the printing press. 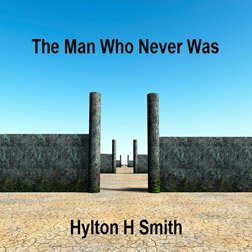 There are now many websites and businesses offering e-books for sale, and there are many open source or Free e-books available, including some real classics from authors such as Jules Verne, HG Wells and Robert Silverberg. The iLiad is being made by Elonex for Borders and the machine is £10 cheaper than Sony's e-reader at £189 and claims to be lighter too. A Borders spokesman said: "We felt it was important to try to develop our own e-reader device. We wanted to offer something more affordable and give consumers another choice." The iLiad comes preloaded with 100 classic novels and is currently being sold in Border stores, but should be available via the Borders website about now.